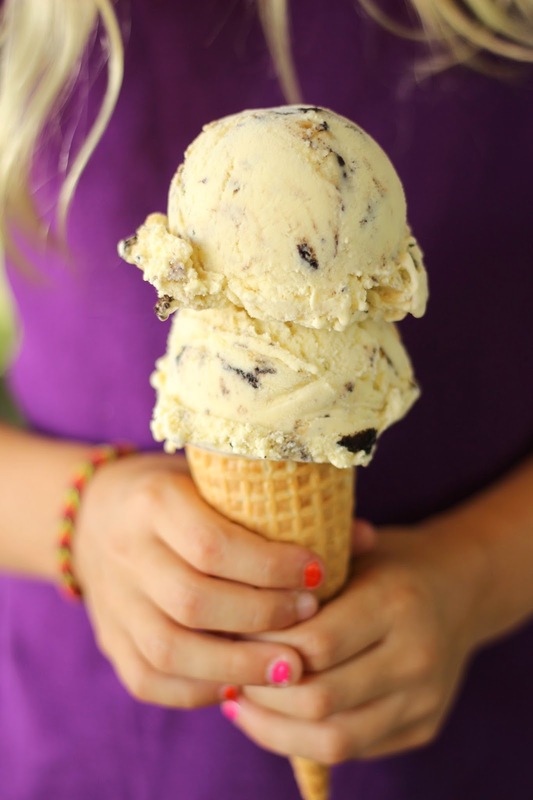 Nothing says summer like ice cream. And homemade ice cream...well, nothing compares. Even my beloved Haagen-Dazs pales next to this stuff. It's got waaaaay more love in it. I had the pleasure of being the food stylist on an amazing ice cream book that has recently been released and is available everywhere this summer. 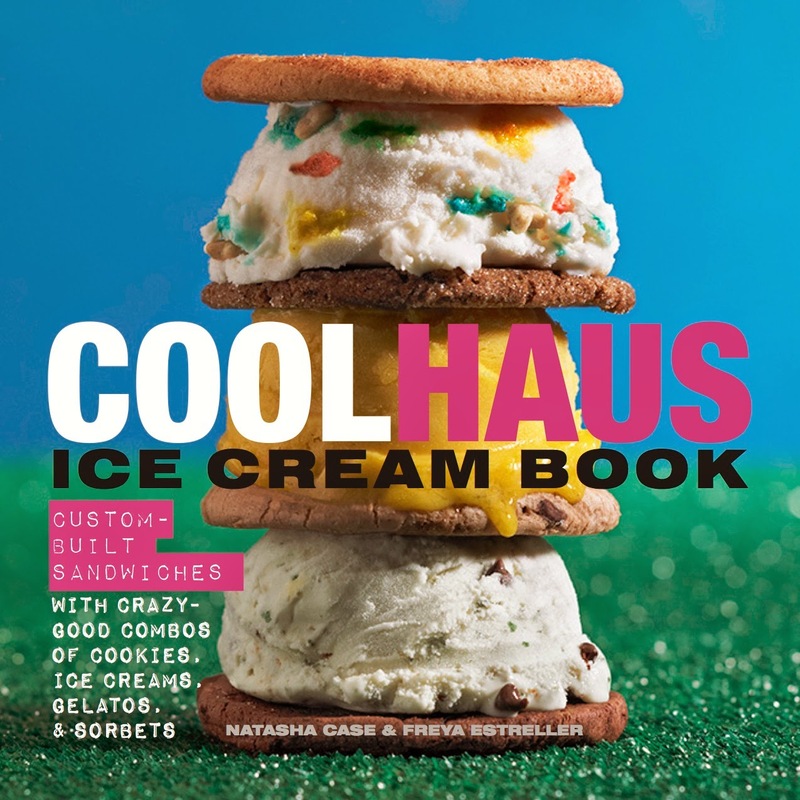 It's by the very cool-chick duo of Natasha Case & Freya Estreller - the founders and owners of Coolhaus Ice Cream. It's a great story...two smart & sassy ladies bring a food truck to Coachella with "architecture-inspired" ice cream sandwiches...and a business is born. Cut to a few years later...the biz is booming, they have their products in major grocery stores & have shops and trucks in LA, NYC & Austin. So of course they needed to write a book! Note: We all highly recommend the Cuisinart home ice cream maker - it's a great price point, is easy to use and works like a charm! In a medium bowl, whisk yolks and remaining sugar until smooth, heavy & pale yellow - about 30 seconds. In a 4-quart saucepan, combine milk, cream and half of the sugar. Set over medium high heat and cook, stirring occasionally, until mixture comes to a boil - about 5 minutes. Remove from heat. Pour half of cream mixture into the eggs in a slow, steady stream while whisking constantly, until blended. Return pan to stove top over medium-low heat. Now pour the egg yolk-cream mixture from bowl back into the the pan is a slow, steady stream, again, whisking constantly. Stir with a wooden spoon until an instant read thermometer reads 165 - 180 degrees and coats the back of the wooden spoon. Mixture should be steaming but not boiling. Don't heat above 180 degrees or your eggs will scramble! Pour custard into a clean, airtight container and refrigerate for 12-24 hours. You can also cool the container until well-chilled in an ice bath if you wish to put it in the ice cream maker the same day. Process custard base in your ice cream maker according to manufacturer's instructions. Transfer into a bowl and fold in smashed cookies. Click HERE or on the screen below to see a funny little promotional video we did called "Better with Instructions" for the book that I styled & "acted" in as well...kinda funny!